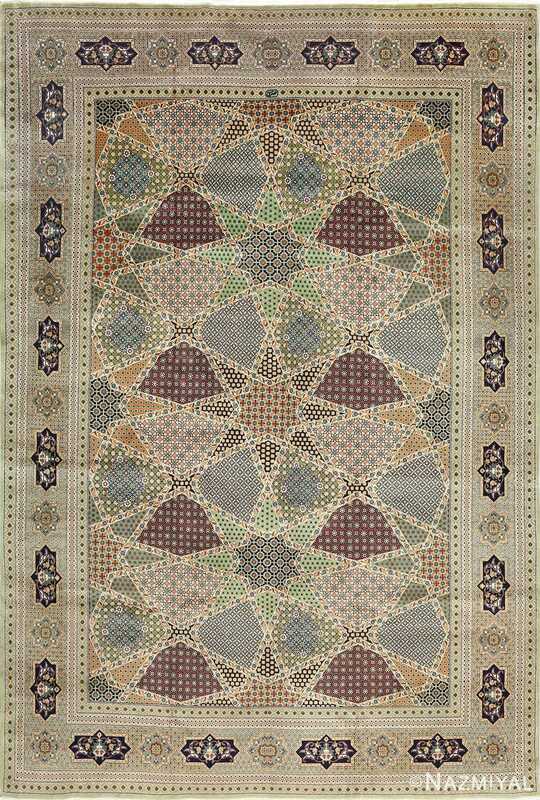 Beautiful Taupe Background Vintage Tabriz Persian Rug 51108, Knots Per Square Inch KPSI: 500, Country of Origin / Rug Type: Vintage Persian Rug, Circa Date: Late 20th Century - The artist cleverly displays their aptitude for fine stitching by establishing thin outlines and exquisite details that define the foreground along the Persian rug's surface. 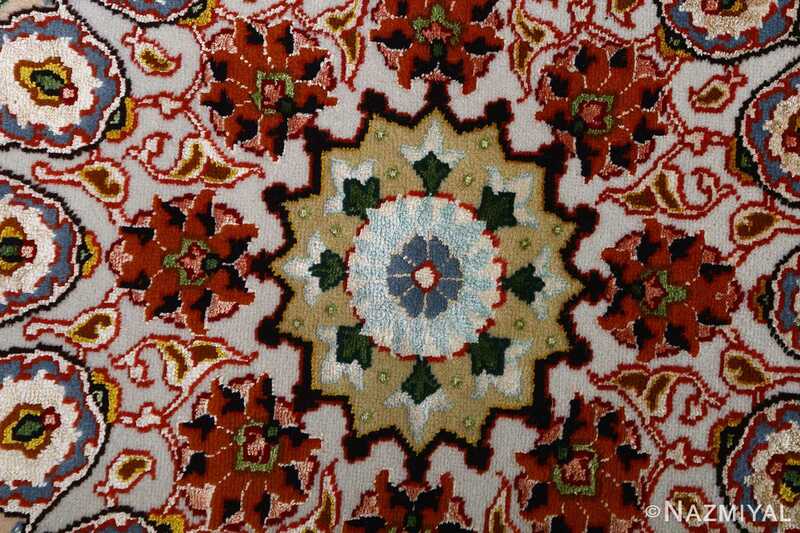 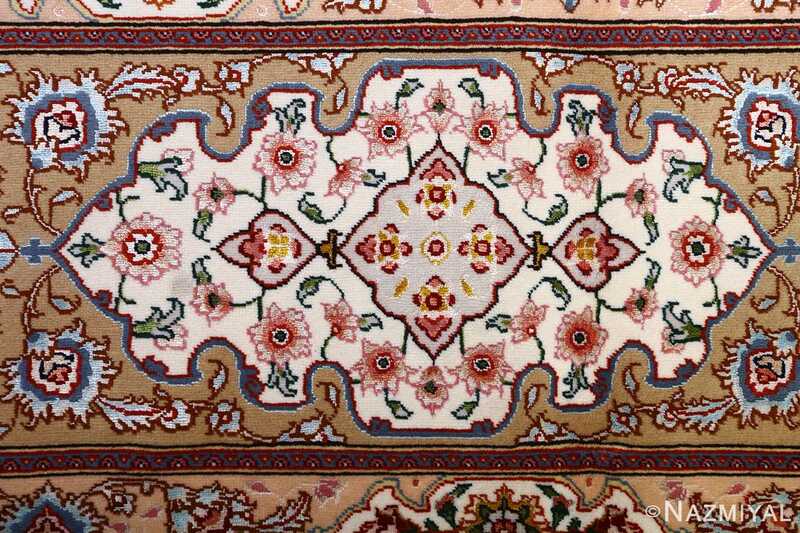 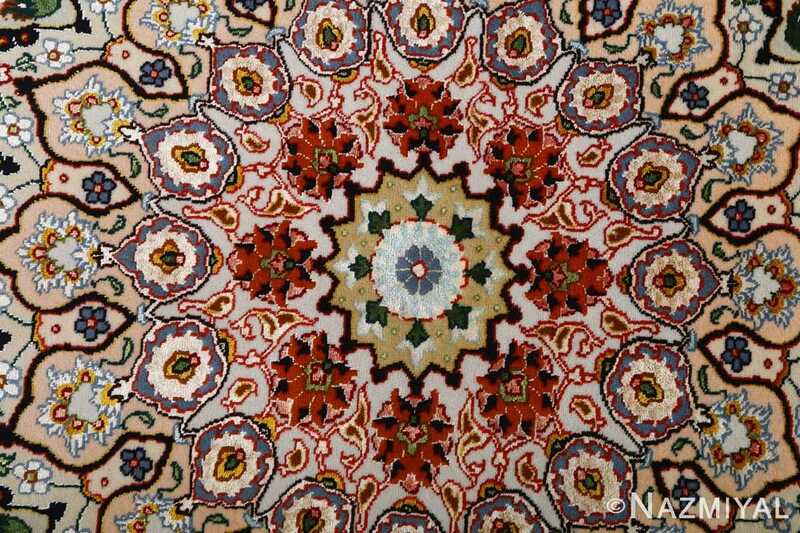 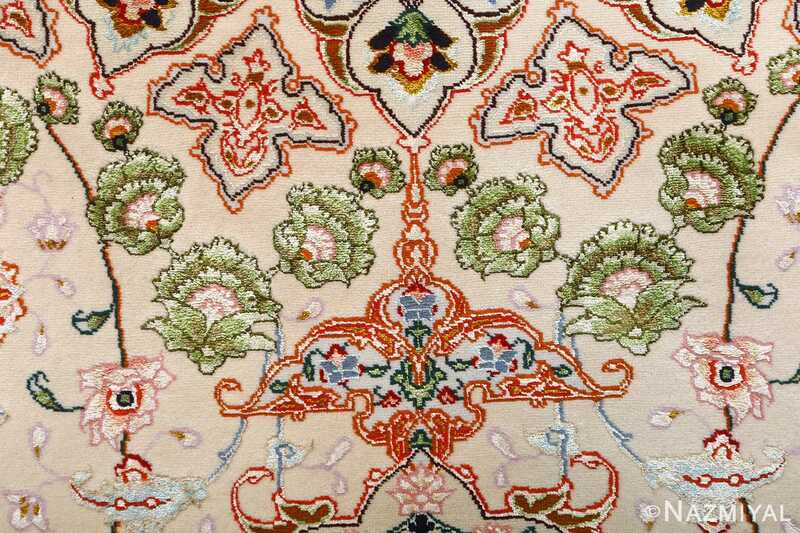 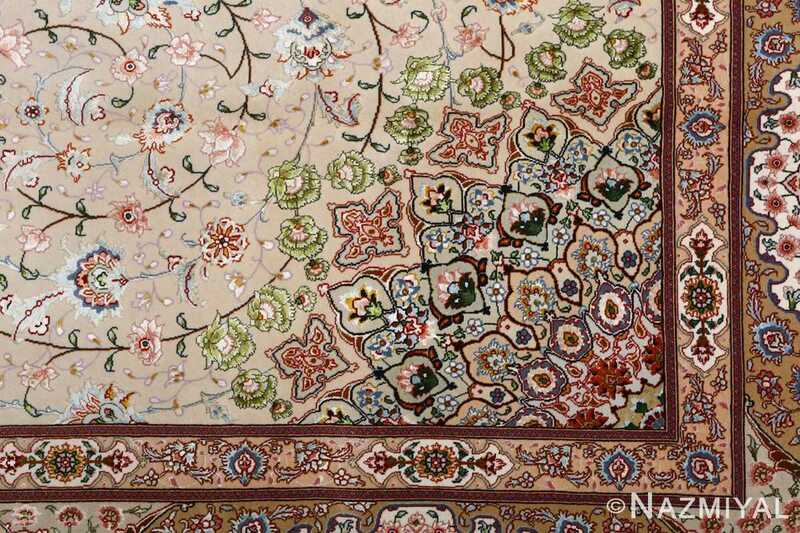 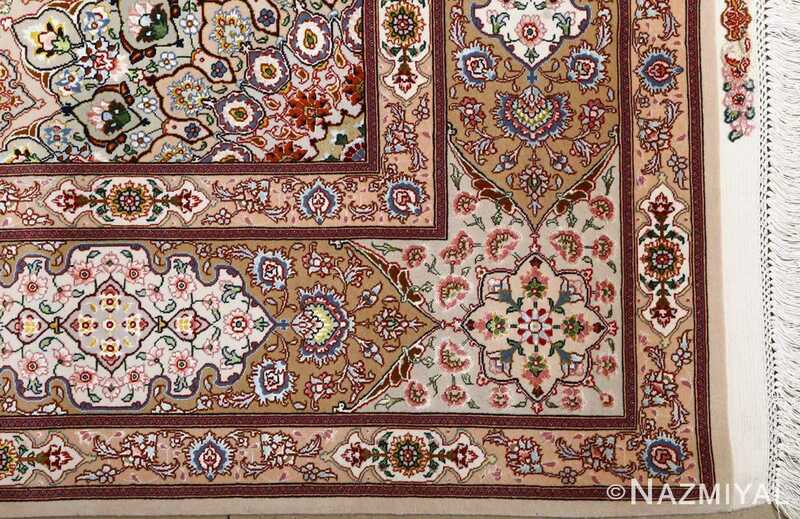 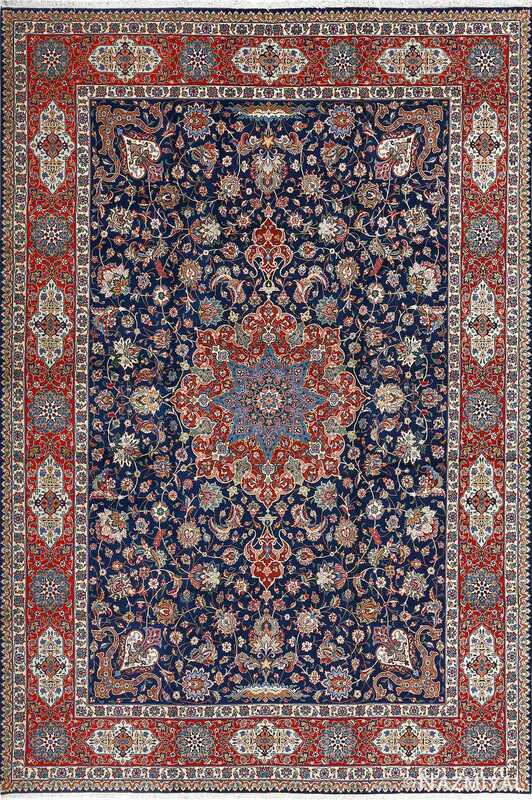 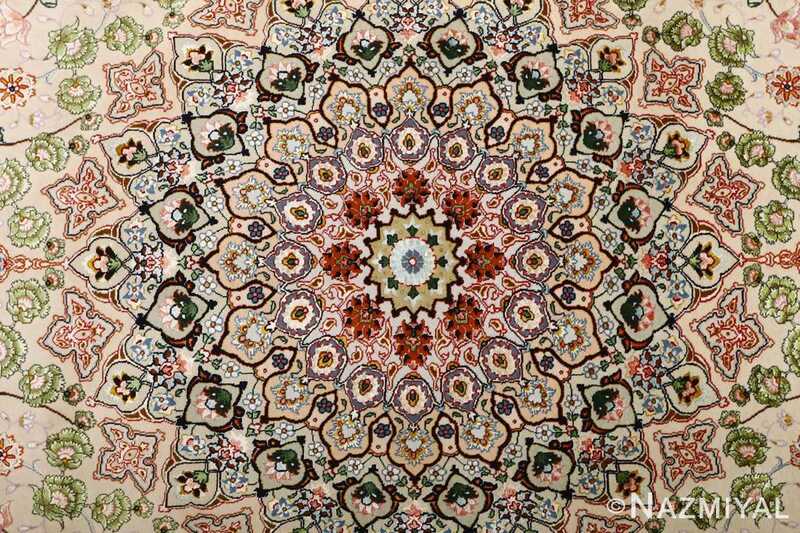 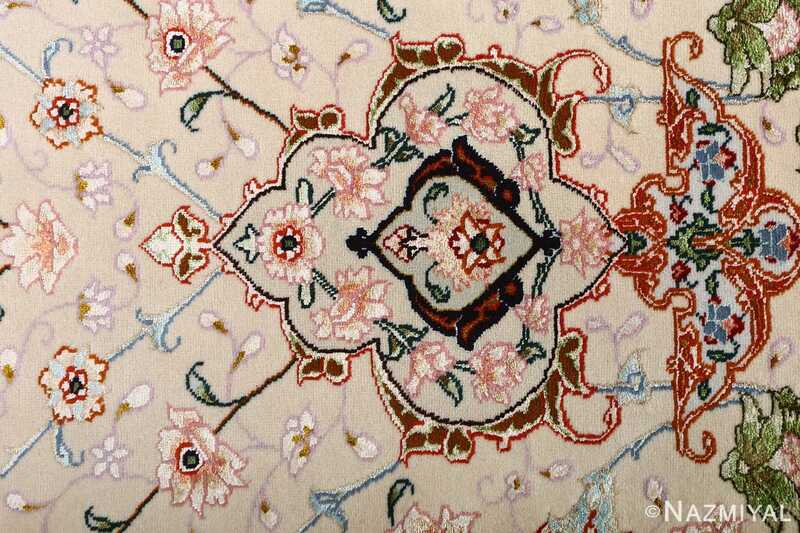 The viewer is free to take in all of the beautiful details as they dance across the fine texturing of this magnificent vintage Tabriz rug. 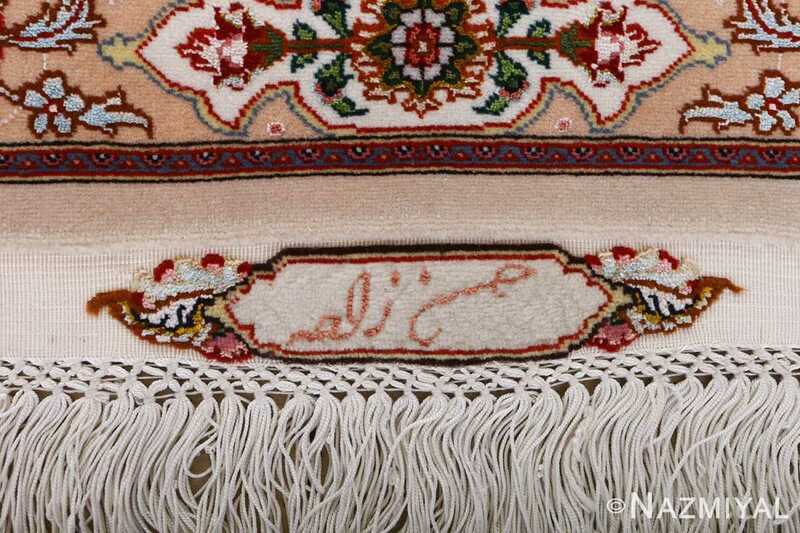 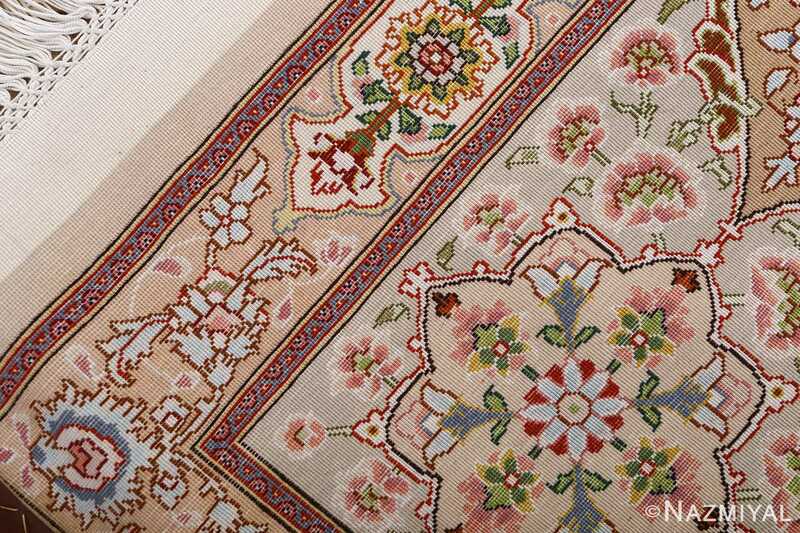 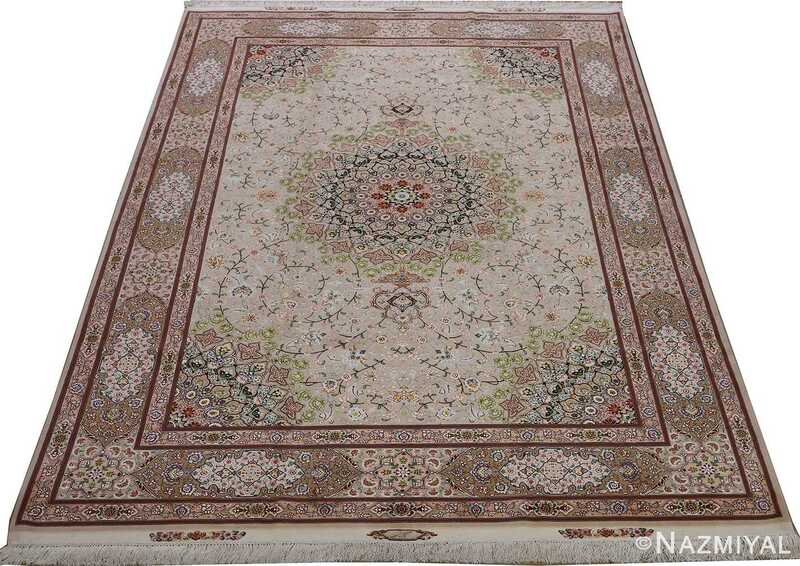 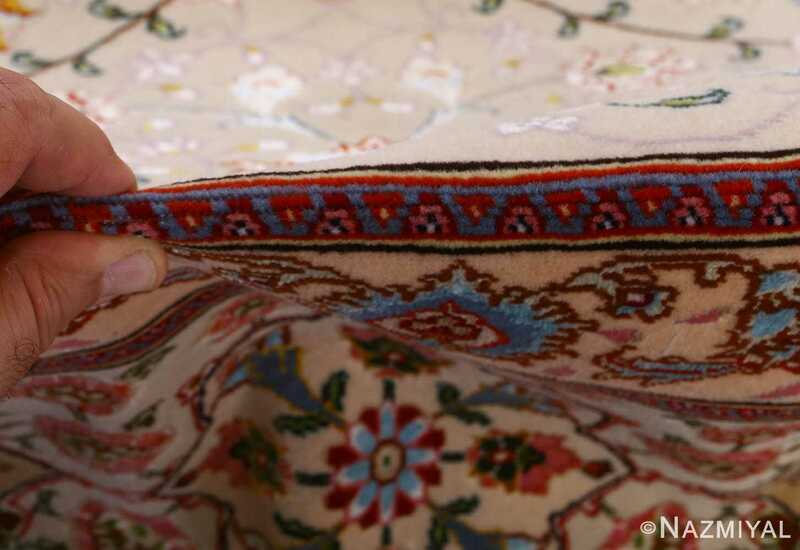 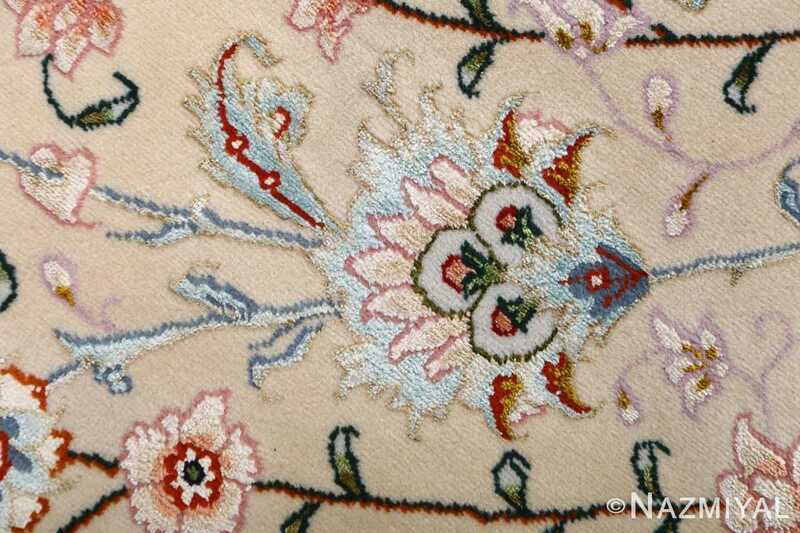 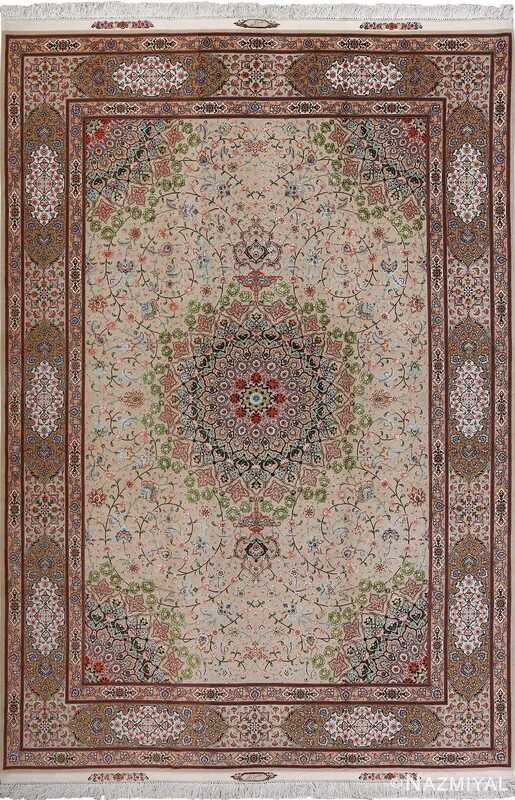 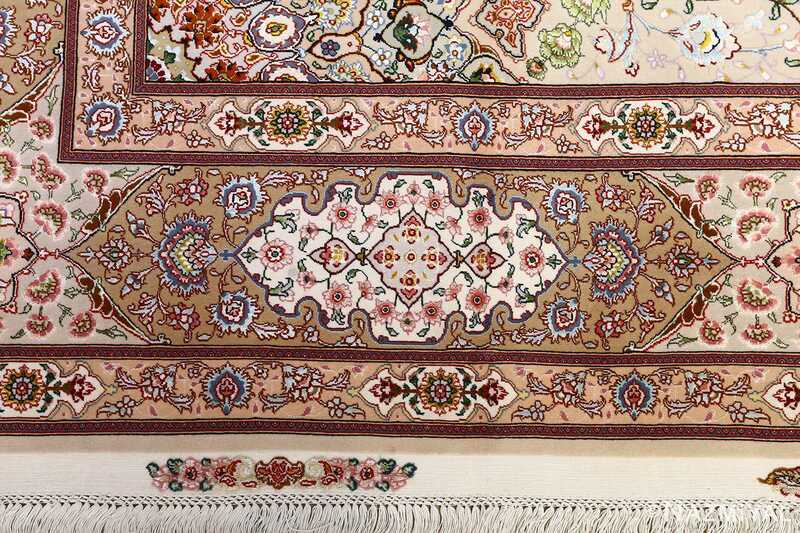 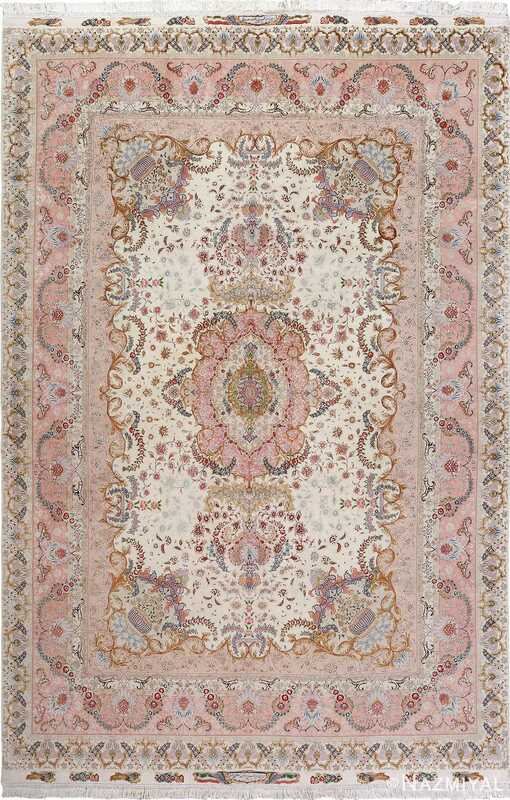 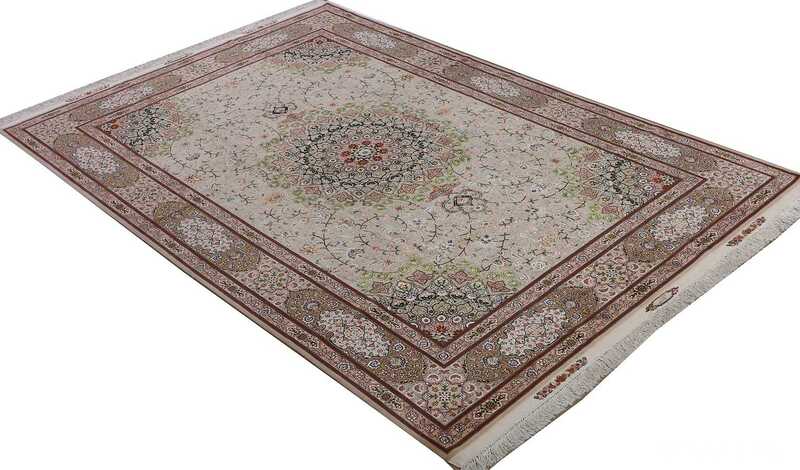 Wispy vines, winding stems and gracefully blossoming petals and fronds all unite the various sections of the vintage Persian rug, creating an elegant network that spans from the outer edges of the borders to the very center of the Oriental rug, where the majority of the activity takes place. 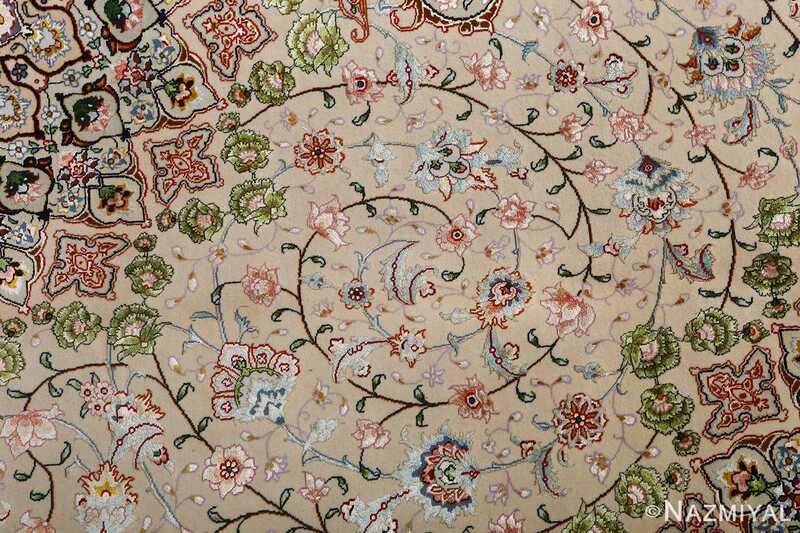 It is here that the vines are at their most defined and winding, establishing circular outlines that contribute to the symmetrical presentation of the core.